If you love the outdoors there are plenty of things to do at Packwood, – fresh water fishing in the dams, for the bird enthusiast there are 100’s of species to keep you entertained. Excellent hiking and mountain biking trails across the farm or through Knysna’s indiginous forest which is on the doorstep, Packwood has opened the farm gate for some high brow South African cycle events, this area has some of the best hiking and mountain biking trails in the country, kilometres of forest tracks and beautiful coastal routes, with nature in abundance, peace and tranquillity its hard not to relax . If you are a little less energetic enjoy a gentle walk around the vineyard and farm, or unwind by the pool and enjoy a perfectly chilled glass of Packwood wine or bubbly. Golf enthusiasts are spoilt for choice with so many world class courses on the doorstep. 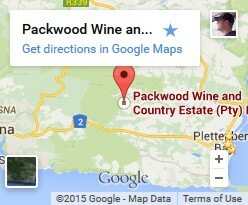 Pezula, Simola, Goose Valley, Oubaai, Fancourt, Pinnacle Point and local clubs Plett and Knysna are all within an easy drive of Packwood. We will happily help you with planning an itinerary based on your interests, so you can make the most of your time in the area and take advantage of all the Garden Route has to offer. Our recent post on things to do in the area will also be helpful.